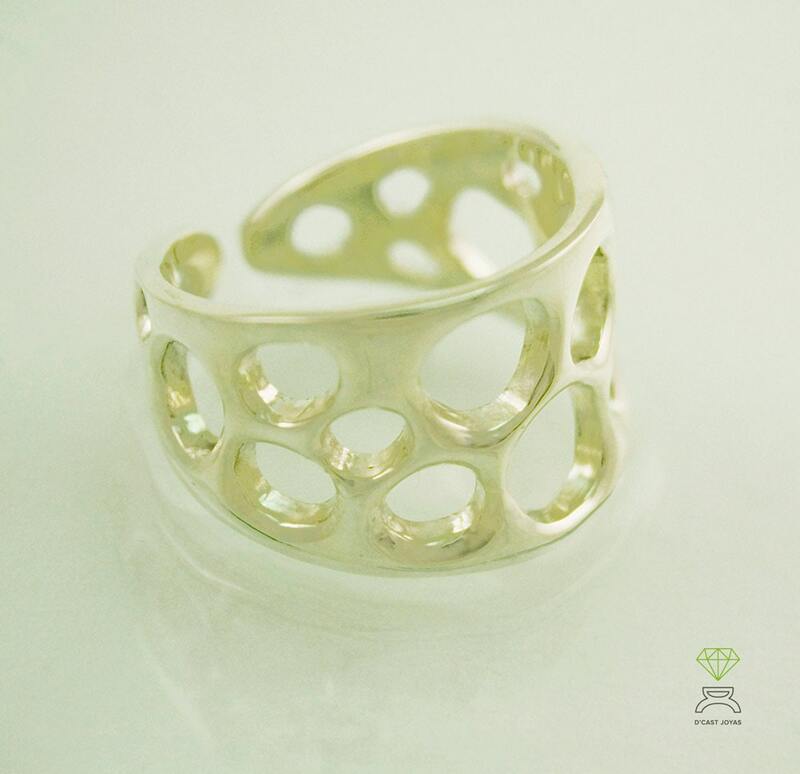 ** The Cells ring is made in our workshop in Madrid, Spain. It is perfect for men and women. The size can be adjusted to suit your preferences. ** Cells Alliance handmade in solid 925 silver. 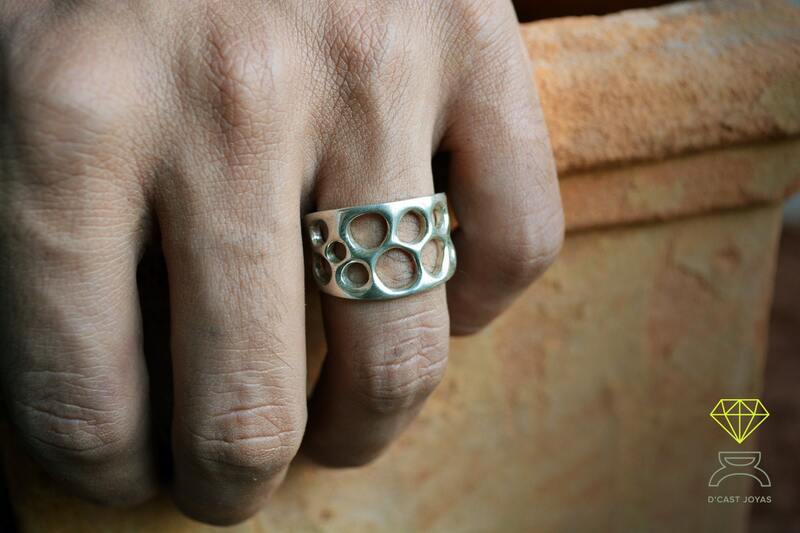 Adjustable ring inspired by the drawing of the cells when viewed through a microscope. A way to remember and represent the origin of life: CELLS. 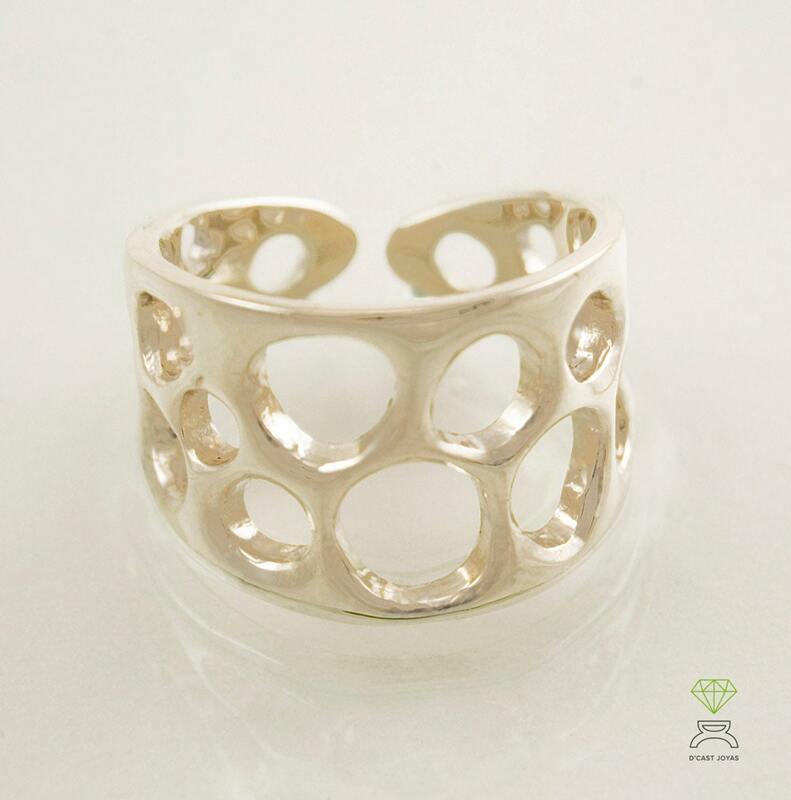 For this we have created irregularly shaped round holes in the alliance to create an organic look. 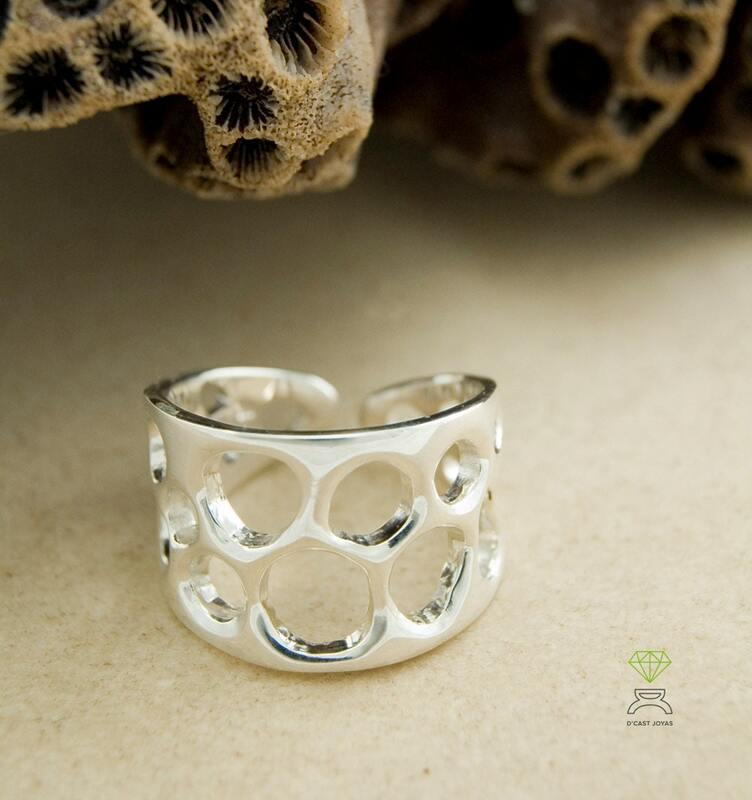 It can also remind us of the holes that form in some corals. ** We also offer two micron gold and high quality rose gold bath. ** Prices may vary depending on the model and the size of the ring. The ring is adjustable so you can adapt it to any finger, opening or closing always carefully and without forcing as the ring can deform or split. Gorgeous ring, which was specially modified for us. Very quick and courteous response from seller. The ring looks even better when seen on an actual finger! Highly recommended.